What is the Right Way to Recycle My Accumulators? 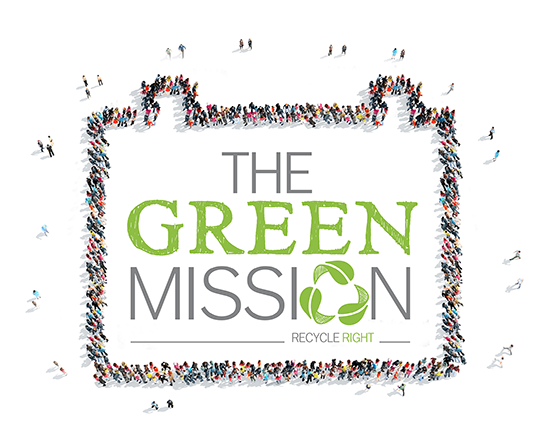 The objective of the Green Mission is to inform and raise public and company awareness of the importance of environmental recycling of lead-acid batteries. These accumulators are used daily by industries and citizens, particularly in vehicles (cars, trucks, motorcycles), but also in forklifts, work machines, UPS, alarm and emergency lighting systems. Through a strategic awareness campaign with information workshops, articles and actions, Green Mission highlights the need for proper recycling of accumulators. In addition to supporting the circular economy we can protect the environment, reduce the fuel consumption required for lead ore mining, as well as carbon dioxide emissions. Respect for people and the environment. Consistency in implementing proper recycling. Boost public and company awareness of the benefits gained from environmentally friendly recycling. To be the most reliable source of information for problems related to lead-battery recycling. Increase the awareness of the public, professionals and business world with regard to the key role that everyone involved in the loop of proper recycling can play and the contribution they can make in the protection of the Environment. Improve Greece’s performance as regards the collection ratios for used accumulators. Make lead-acid battery recycling a lifetime habit for people, as recycling of paper, glass and aluminium has already become thanks to decades of awareness campaigns and efforts. In Greece, recycling of -scrap lead acid batteries, and the area of recycling in general, are currently facing significant weaknesses and problems in implementing best practices and international legislation. ”The Green Mission” was born from the desire to improve the method of recycling scrap accumulators. It, in turn, gave rise to the foundation of SUNLIGHT RECYCLING, paving the way for the construction of the most state-of-the-art recycling plant in Europe. Its cutting-edge technology makes recycling with zero negative environmental impact a reality. As SUNLIGHT RECYCLING started to operate a double need emerged – to provide relevant, in-depth information both to the Greek business world and to consumers: firstly about the importance of recycling in general and, secondly, about the proper way to recycle old lead-acid batteries. The response to the Green Mission initiative was immediate with numerous companies committing to the proper environmental recycling of the old lead-acid batteries they produce. Every day more and more companies decide to join the ”Green Mission”, hoping that in the future the majority of the business world and the public will be informed and recycle their old accumulators properly.